Former San Francisco 49ers quarterback Colin Kaepernick and Carolina Panthers safety Eric Reid have settled their collusion grievances against the NFL, according to a joint statement released by the players and the league. "For the past several months, counsel for Mr. Kaepernick and Mr. Reid have engaged in an ongoing dialogue with representatives of the NFL," the statement, released separately by the league and the players, said. "As a result of those discussions, the parties have decided to resolve the pending grievances. The resolution of this matter is subject to a confidentiality agreement so there will be no further comment by any party." 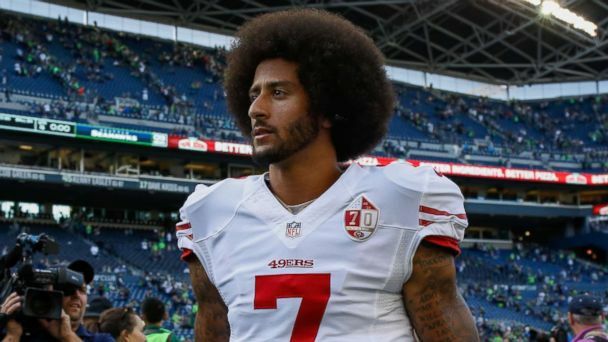 Kaepernick and Reid filed separate collusion grievances in 2017 and 2018, respectively, over their employment with the NFL after becoming free agents and remaining unsigned. Both demanded arbitration hearings on the matter under the terms of the collective bargaining agreements they had with the NFL, choosing the law firm Geragos & Geragos to represent them rather than going through the NFL Players Association. Kaepernick has not been with an NFL team since the end of the 2016 season. He drew national attention for kneeling during the national anthem before playing in games to protest police brutality against black people and people of color. Reid, who played for the 49ers at the time, was the first player to join Kaepernick in kneeling, setting off a movement that would transcend the NFL and spark condemnation from those who opposed the protest, including President Donald Trump. The NFL Players Association, which has supported the two players during the grievance process, reiterated its support in a statement on Friday. "Today we were informed by the NFL of the settlement of the Colin Kaepernick and Eric Reid collusion cases," a statement from the NFLPA said. "We are not privy to the details of the settlement, but support the decision by players and their counsel. We continuously supported Colin and Eric from the start of their protests, participated with their lawyers throughout their legal proceedings and were prepared to participate in the upcoming trial in pursuit of both truth and justice for what we believe the NFL and its clubs did to them. We are glad that Eric has earned a job and a new contract, and we continue to hope that Colin gets his opportunity as well."